It’s believed that the body is made up of pure energy. This energy can be both positively and negatively influenced in a number of ways. The negative influences can create symptoms of energy imbalances that can manifest as a host of health issues. There are many modalities that can assist in creating balance within your systems energy field, Massage by Wil uses a number of different energy healing methods to help balance and assist your body in its healing process. Have you ever felt like you’ve become imbalanced by a physical trauma, even when checked out and/or treated, and everything comes back as normal, except how you feel? Have you ever felt like you’ve become imbalanced by an emotional event that has left your system ringing like a bell or have sent shock waves throughout your body and no matter what you do your body is resisting the healing you long for? These sessions are nice for those that are having challenges in their life that nothing else seems to help. They are also great for those times when you just feel off or out of sync, and you need a boost of something to get you back on track. The beauty of the Body Code energy healing work is not about what has happened to someone else, or this is the norm, this healing energy work is about YOU and only YOU. It communicates with you, your needs, what you need to unwind, in the order that needs to be released and what needs to be healed at this time in your life. This is why Wil would love to assist you in your healing journey to obtain optimal balance, harmony, and wellness. Circuitry – The chakras, meridians, and systems of our physical body. Energetic – These are emotional, traumatic, mental, offensive and trapped emotions. Nutritional & Lifestyle – What we do and put into our body. In the Body Code Theory, every wellness problem that we face can be traced to an imbalance in one of those 6 areas, and that is why The Body Code System is so powerful. It uses the power of the subconscious mind in tandem with The Body Code Mind Map System to map out and correct these damaging energy imbalances. In other words, when doing the work, it’s like the Body Code mind map assists our (you & Wil) communication in revealing a domino effect like-story of how your emotions, imbalances, and misalignments have created the issues within yourself. These short stories are key to releasing imbalanced layers. Some sessions can have just a few stories, while others have many. This all depends on what your body and system indicate/communicates what you really need to experience and/or help to create balance, harmony, and wellness. I am a nurse practitioner with fibromyalgia. Although I don’t live in St George anymore, I was excited to try the Body Code once Wil added that modality to his services. I didn’t completely understand how it would work, but it made sense to me that our bodies hang on to emotional or physical experiences we have had in our lives. Wil was able to do Body Code work for me, even though we were separated by 300 miles. Over a period of four months, Wil did about twelve Body Code sessions. I began to feel a bit of a difference physically and emotionally almost from the start. Six months after Wil began my Body Code sessions, the physical difference in me was undeniable. My friends and family began asking me what was making me feel better. My massage therapist kept telling me that my body was improving and she felt I was getting well. It has been a year since I began the Body Code sessions. I still have fibromyalgia, but not at all like I used to. Not only am I doing better physically, but I am emotionally calmer. The Body Code allows Wil Adams’ energy field and your pet’s energy field to communicate by way of surrogate/proxy muscle testing. Your pet’s body/energy field system (body/system) actually knows all the information it needs to heal itself, but for some reason has become too imbalanced to make those corrections on its own. That’s why the Body Code for pets is important. The Body Code allows your pet’s body/system to relay information to Wil on what would be the best way to assist their healing process and to get them heading on the correct path to becoming self-efficient in maintaining a state of well-being. I’ve been given a gift and develop skills to provide a valuable service to assist people and pets towards feeling balance and harmony in their life. It is my intention to allow anyone wanting to try energy healing to do so. 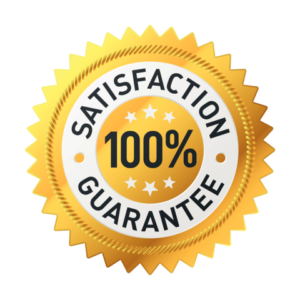 Since energy healing works on some and might not on others, that’s why this guarantee is in place. For those who feel the benefits, the Body Code provides, let’s move forward. For those who feel no benefits, no harm, no foul sort of speak, redeem the guarantee. Here’s how it works, if you feel no shift within yourself or see no change in your pet, either physically, emotionally or energetically within 7 days after the session, you can ask for a 100% refund. You can take up to 14 days to redeem your refund after your session.